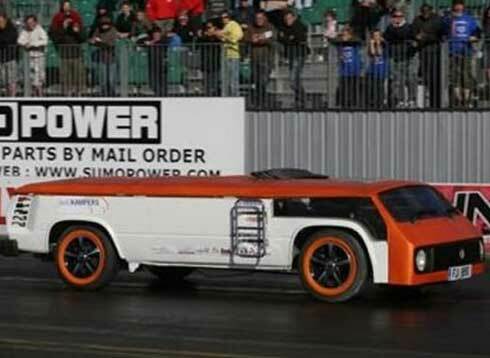 Lowest van in the world 2008 making a new world record catogory here with a height of 3 feet tall. This record still stands. With a number of record breaking feats under his belt, with the worlds lowest cars, 2018 sees the Van Cake by Andy being included in the Guinness Book of Records 9 years after its completion. 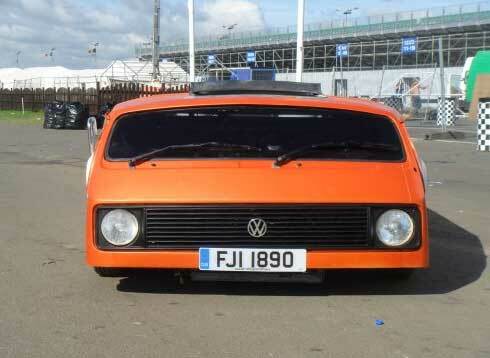 During Bug Jam 22 at Santa Pod, Saunders and his team of Jim Chalmers, Johnny Munden and Pete Dempsey took the world record for the lowest camper van in the world. A 1980 VW type 25 viking space maker camper was chopped from the towering height of 7′ 7″ down to 3′ 3″, not only was this the most ridiculously massive chop in the world but it was completed in the most ridiculous time frame and the most abstract conditions. 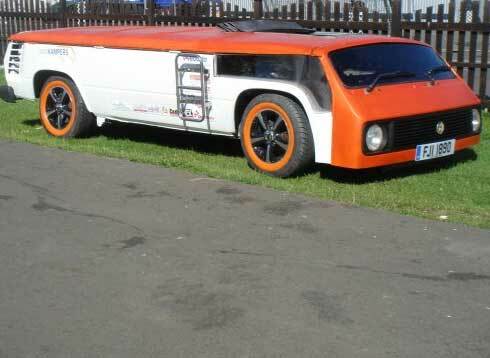 The van (called Van Cake, after a competition on the internet to name it) was built in three days on a small stage in front of the 34,000 attendees. Started at 7am Friday it was driven up the Santa Pod raceway and into the record books at 5pm Sunday afternoon. Two weeks after its completion not only had it clocked up 7 daily newspaper features, 2 TV interviews and countless radio interviews, but it had also appeared on 22,726 websites around the world.